Flower Wallpaper with Soft Bokeh Background Uplifting is an excellent quality photo wallpaper of a bunch of light violet flowers with fantastic depth of field. 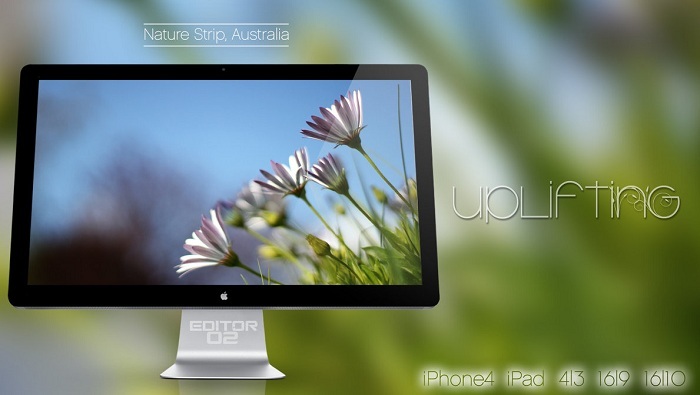 The photo of Flower Wallpaper with Soft Bokeh Background is taken by editor02. Various rasolutions included for 16:10, 16:9, 4:3, iPad and iPhone display screens. It is a ZIP download, the file is 3.00 MB in size. This Article Has Been Shared 974 Times! Mystery Wallpaper is a recently Featured Wallpaper by deviantArt and has the touch of Nikon to Photoshop. Use as resource or wallpaper. Kwiaty Flowers Wallpaper is an excellent quality photo wallpaper of a bunch of flowers on a beautiful blue background. White Flower Wallpaper is an excellent photo wallpaper set of a white flower on green background with fantastic depth of field. Cite this article as: Abhishek Ghosh, "Flower Wallpaper with Soft Bokeh Background," in The Customize Windows, June 29, 2012, April 19, 2019, https://thecustomizewindows.com/2012/06/flower-wallpaper-with-soft-bokeh-background/.